drawer ends, use a wooden extension mounted to your miter gauge to prevent chip-out when completing the cut across the grain. As always, test-rout a piece of scrap stock first. 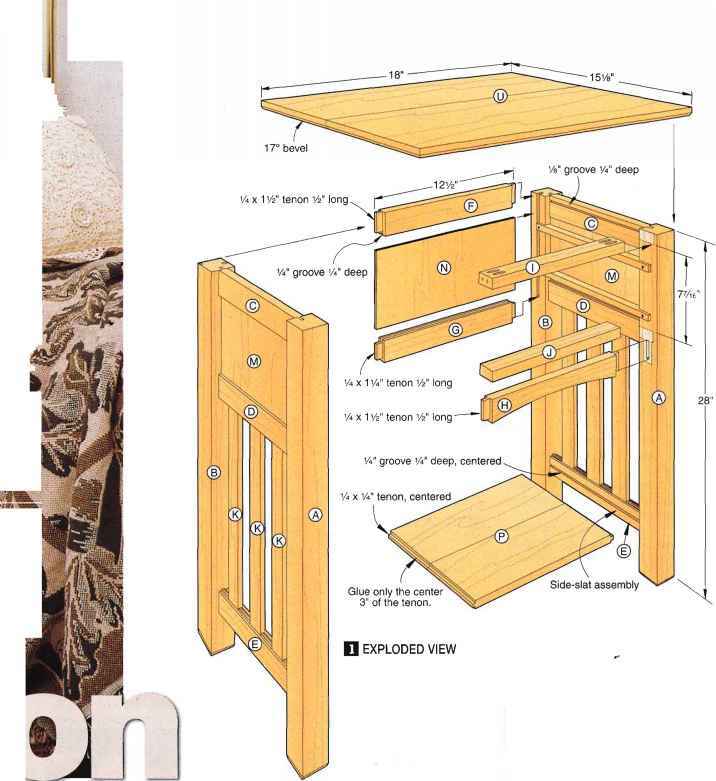 5 Using your tablesaw fitted with a dado blade, cut a W groove W deep along the inside surface of the drawer fronts (N) and sides (O) to house the drawer bottoms. 6 Now, cut 3/8"-deep rabbets along the top and bottom edge of each drawer front, where dimensioned on Drawing 4c. 7 Dry-clamp each drawer together. Measure the opening, and cut the drawer bottoms (Q) to size. 8 Drill holes in the drawer fronts for the knobs. 9 Now, glue and clamp the drawers together, checking for square. Just spot-glue the drawer bottoms in place so they don't rattle. 1 ^\Cut the drawer bottom guides IVr(R) to size, tapering the back inside edge of each, where shown on Drawing 4. 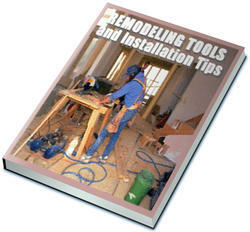 Materials key: P-poplar or pine, EP-edge-joined poplar or pine, EO-edge-joined oak, PL-plywood. Supplies: #17xW brads, 4d finish nails, #8x1" flathead wood screws, #8x1 v4" flathead wood screws, #8x1 V* roundhead wood screws, %>" flat washers, metal tabletop fasteners with #8x5/s" panhead sheet-metal screws, Me'- or 1 W'-diameter wooden knobs (2), paint, stain, clear finish. Router bit. Freud #99-240 drawer lock bit, $62.85 plus shipping. Puckett Electric Tools, 841 Eleventh St., Des Moines, IA 50309. Or call 800/544-4189 or 515/244-4189 to order. Hardware. Two 1 W-diameter oak knobs (#SBH24) and bag of 10 steel tabletop fasteners (#96N4). Constantines,1040 E. Oakland^ark Blvd., Ft. Lauderdale, FL 33334. Call 954/561-1716 for current prices, or visit www.constantines.com. 'Plane or resaw to the thickness listed in the Materials List. IRip and crosscut the four legs (A, B) to the size listed in the Materials List. Make certain that the legs are square. Note: If you do not have access to PA"-thick lumber for the legs, you can laminate three JAx2x29" boards for each leg. Chuck a chamfering bit into your table-mounted router, and cut a !/s" chamfer along the bottom edges of all the legs. You won't have to look far to find the perfect spot in your home for this multi-purpose table. 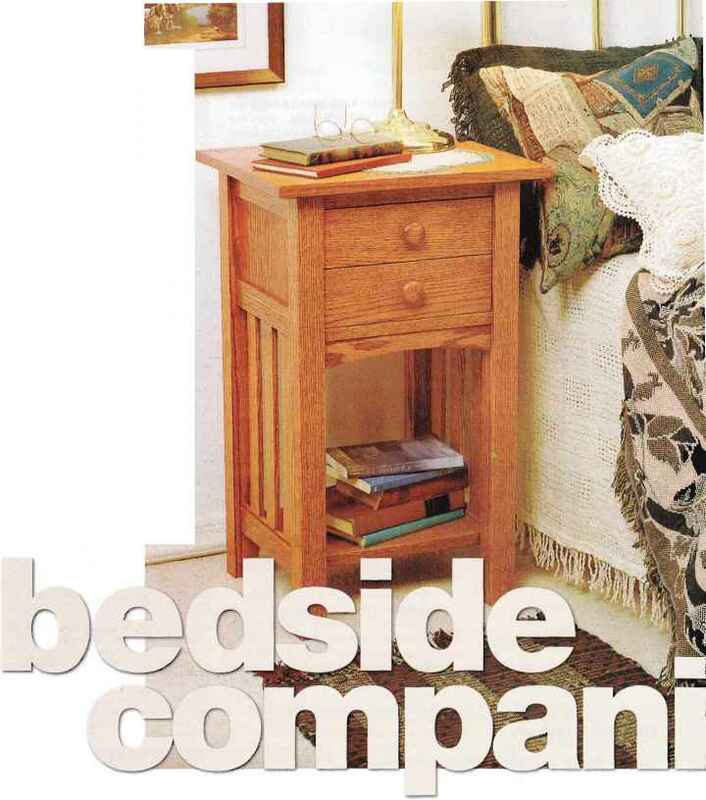 Here, we photographed • it as a nightstand, but other uses might include a telephone stand, occasional table, plant stand, or entry hall table. Its timeless beauty is matched only by the pride you'll feel after building it. on Drawing 2 on page 54. Using a square, transfer the location of grooves and mortises marked on one leg to its mating location on the neighboring leg. Next, transfer the marks to the left legs. Note: The right and left pairs of legs are mirror images; they are not identical. 3 Chuck a Va straight bit into your table-mounted router, and adjust the fence so that the straight bit is centered on the width of the leg. 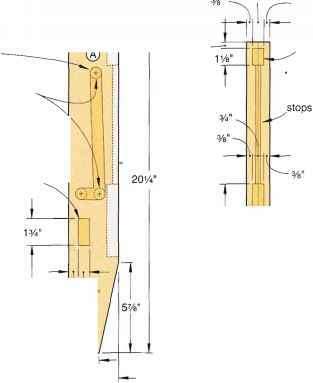 Clamp a stop-block to your router fence to make the 83/4"-long grooves, as shown on Drawing 3. Rout the grooves in several passes, raising the bit each time. How to rabbet a drawer front? What size rabbet for drawer front?